One of the new things in my life since I started blogging recipes is “Food Photography”. I almost need to capitalise that as it’s still all a bit of a mystery to me. Heck I only just learned that you could twirl the lense thingi and that makes the picture clear. Yes, I do need saving from myself. I am still generally rubbish at photographing meat dishes, but I think I am slowly getting better (now I know about the lense twirling!). So I am pretty happy with the way this yummy dish took to the spotlight. Ok, so it does look a bit lonely without a bunch of tasty veg to go with it, so maybe a note to self to show them next time! This dish tastes just as good and is as tender as it looks because it’s marinated for at least two hours although overnight is better. I am curious as to why do we say that when it is generally overnight and most of the next day? Anyway, that makes it a perfect dish for everyday or for a swanky dinner party with all the prep taken care of the day before. • Place lamb in an oven proof dish. • Mix all the marinade ingredients together. • Pour marinade over the lamb, rubbing in both sides. • Cover and place in the fridge overnight. Alternatively, leave on the benchtop if you only have an hour or so. • In the morning turn the meat and recover, place back in the fridge. 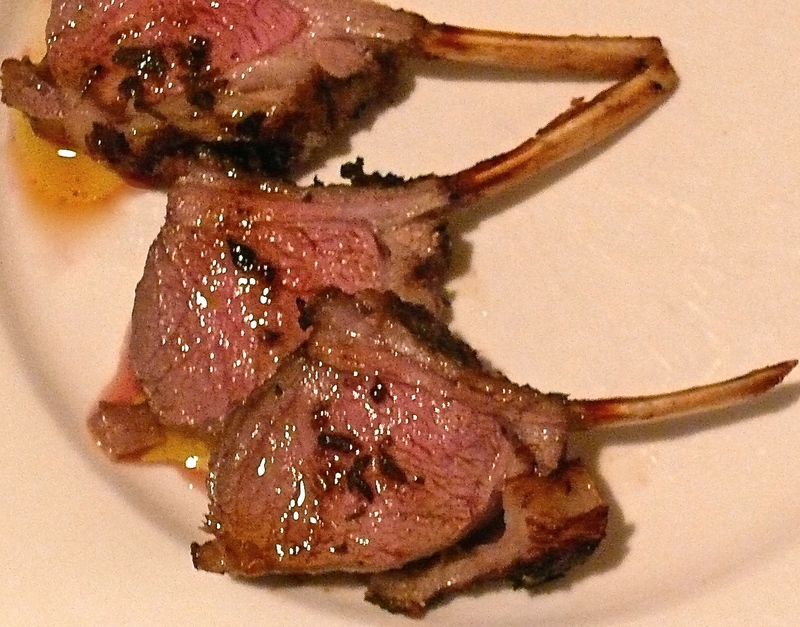 • Two hours before you are ready to cook bring the lamb to room temperature. • Roast the lamb, uncovered, for 20 mins (if you like it medium rare). • Remove and rest covered for 10 minutes. • Serve with Sweet Potato Dauphinoise and your favourite greens.